I couldn’t be more excited to have Dan Millman on air with me for my 200th show! 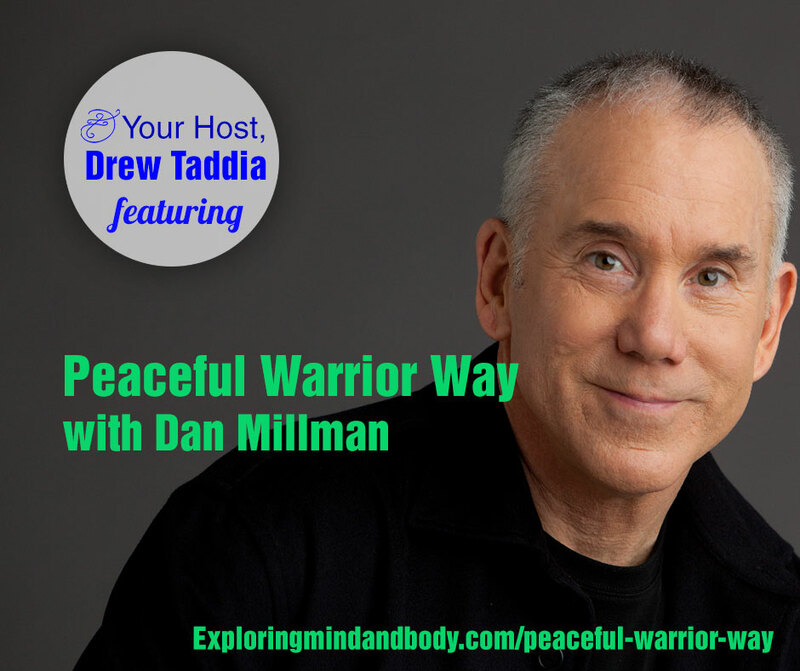 Dan is my all time favorite author because of the Way of the Peaceful Warrior which changed my life and countless others. This is actually the 3rd time I’ve had the pleasure of interviewing Dan and each interview with his gets better each time. Given that this is show 200, this marks my 4th year on air which is an incredible milestone for me to reach. I can’t thank you enough for being here with me to share this show and moment with me. I’ve had listeners from the very beginning still listening and I also have new listeners and even those that have gone back and listened to each and every episode. I couldn’t be more grateful for the support show by you, the station and all the incredible interviews sent over during the past few years of Exploring Mind and Body. Just finished listening to this show and fell in love with this man all over again. I absolutely love his mindset and feel so inspired after listening to his words of wisdom. Such a great author, person and inspiration. I definitely recommend having a listen to this one!!! Thanks for listening Dorothy! I love Dan as well, such a great person.